This is still the one and only TRUE DORY kit available on the market, anywhere. The others are messy stitch & glue construction or go together unlike a real dory. 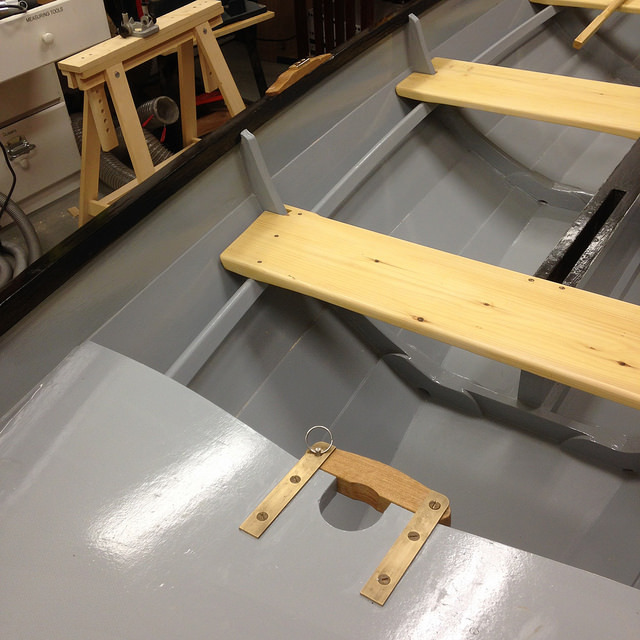 The DSD is what I consider the ideal sail & oar boat. 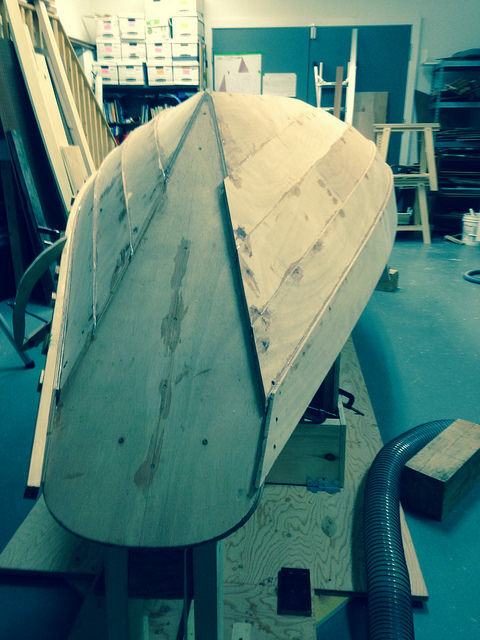 This is a craft that will bring utter joy under oars or sail. Too often you hear sail & oar boaters lament how much they wish they did not have to take their oars out to row. Or the other way, I hear them wish that their boat was not so tippy under sail. The D-Street is a joy to sail and row. I fondly recall my first row in hull #1. I was worried that I had drawn too much boat to enjoy rowing solo. Boy was I wrong. With my 9-foot, spoon-blade oars we just flew along and it tracked great. These are the reports I receive from all the other DSD builders since hull #1. 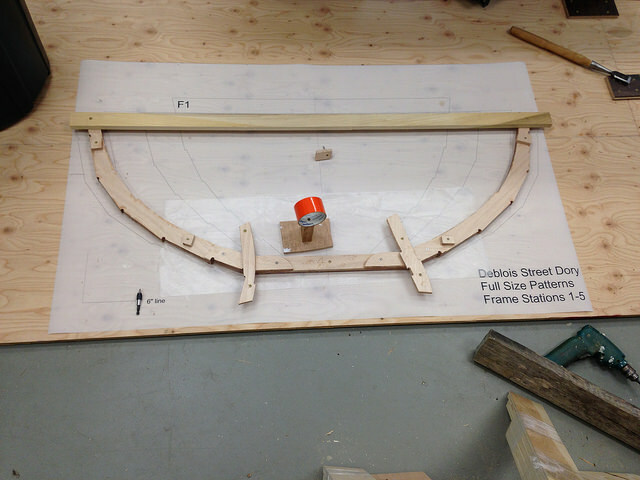 The performance of the DSD can be summed up by a memory from one of my Shop Talk & Messabouts. Three dories were out sailing off East End, Portland: a DSD, a Swampscott dory out of Gardner's Dory Book, and another unknown Swampscott dory. I had 5 people on board as we passed by one of them: "Why is your dory so fast!" one of them exclaimed. 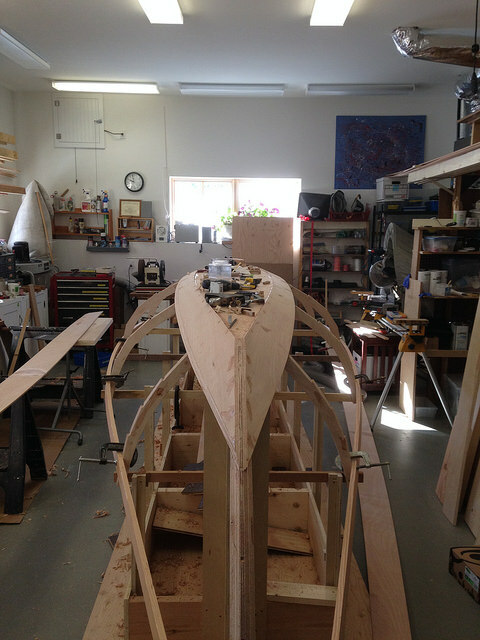 While speed is definitely not the point of a dory, it was still quite a compliment and a testament to the abilities of the D-Street Dory under sail and oar.